ADM Fisher: Strategy from the "Fish pond"
This article is part of our Forgotten Naval Strategists Week. Great Britain’s Royal Navy (RN) that went to war in August 1914 was very much the product of a concerted effort of technological, operational, and personnel change executed over the period from 1904-1914. The RN went from a relatively older, coal-fired, slower, and dispersed force primarily concerned with showing the flag and handling colonial warfare to a modern force of high speed, oil-fired, combatants, seaplane carriers and submarines in the space of little more than a decade. While this was by no means a smooth process, it produced the one European military arm perhaps ready for war in 1914. One man above all others was responsible for executing this strategic sea change. Admiral Sir John Arbuthnot “Jackie” Fisher spent nearly half of his naval career in an effort to drag the Royal Navy from the sleepy 19th century into the violent melee of the 20th. Fisher certainly made many mistakes along the way, and his departure from the Admiralty in 1910 also allowed more traditional leaders in the Royal Navy to limit or discard some of his revolutionary principles. Although a forgotten strategist (and some of his chroniclers even refuse him that title), his strategic concepts have been resurrected through the scholarly work of historians from Arthur Marder in the 1960’s through John Sumida, Angus Ross and Nicholas Lambert (among many) in recent years. Fisher would have been a colorful character in any age. 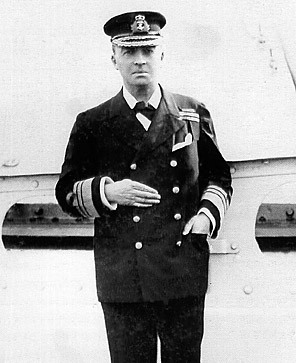 In office as First Sea Lord (rough equivalent of the U.S. Chief of Naval Operations) from 1904-1910, Fisher became a legend for his unpredictable behavior. 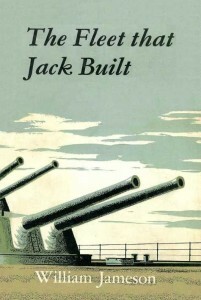 He stalked the halls of the Admiralty with signs hanging around his neck that stated “Bring me something to Sign” and “I have no work to do!” He ended his correspondence with vibrant closing such as “yours until charcoal sprouts” and “yours until hell freezes over.” He is credited by the Oxford English Dictionary as the first person to use the phrase “OMG” (Oh my God!” in written English. His quotes include such phrases as “moderation in war is imbecility” and “any fool can obey orders”. 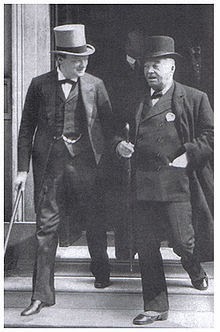 His style certainly had an effect on young Winston Churchill, the First Lord of the Admiralty who brought Fisher out of retirement to again serve as First Sea Lord in 1912 and delighted in the Admiral’s colorful verbiage. Fisher was an engineer by training and much of his efforts entailed advancing technological change. He is known as the foremost advocate of the all-big gun battleship, the first of which he named HMS Dreadnought. He also was a strong supporter of gunnery directors, submarines, naval aircraft, and torpedoes and mines as primary weapons of war. Fisher rejected large quantities of armor in warships preferring tactical speed, operational range, and striking power in all classes of warship. Most importantly, Fisher was the driving force behind the scheme to re-balance the Royal Navy from 19th century naval enforcer to 20th century total warrior. British political leadership decreed the need for change, but Fisher was recognized as the only officer able to implement the sweeping alteration of Royal Navy to suit the emerging 20th century security environment. 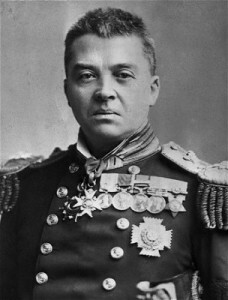 During his administration of the Admiralty he ruthlessly removed over 130 overage, slow vessels that would be ill-suited for combat in the modern age. He advocated fast ships that could deploy rapidly across great distances in support of British global interests. His efforts were successful in that he reduced the overall size of the Royal Navy over the first 5 years of his office, improved the overall quality and accuracy of its firepower and kept the overall naval budget at 1904 levels until 1909. Fisher also moved to improve the conditions of Royal Navy officer training. He merged engineer and line officer cadet training to improve overall officer technological knowledge, and introduced a longer four year instruction program to ensure officers were well grounded in technical subjects. He added additional physical fitness requirements to naval training. He also changed the officer entrance program from one of pure academic examination to one that included practical as well as pedagogical knowledge. Many historians and strategists like to quote the works of British strategic thinker Sir Julian Corbett when they seek to explain the relationship between war at sea and on land. It is useful to remember however that the writings of Julian Corbett might never have reached the influence they hold today without his close association with John Fisher. Corbett did not begin his active career as a naval strategist until 1896. Fisher had already head the position of Second Sea Lord by the this time and was in the process of thinking through his ideas for high-speed heavily armed cruisers that he believed would replace battleships as the principle shield of the British Empire. The two met in 1902 and frequently exchanged correspondence on their respective naval ideas. The cross-pollination between the two men expanded both of their intellectual horizons. Thankfully Corbett, unlike Fisher, chose to write down the summation of this relationship in his 1911 Some Principles of Naval Strategy. While Corbett’s work is his own, and his influence on both naval strategy and history significant, one wonders how much influence he would have had in his own time had he not been an intimate member of the “fish pond” (Fisher’s circle of confidants”. Fisher was far from perfect in many ways. His performance as an operational leader did not measure up to his strengths as a reformer or inspired engineer. He advocated the creation of a Naval General Staff, but failed to institute this body when given the opportunity as First Sea Lord. He vacillated in his support for Winston Churchill’s Gallipoli campaign and eventually opposed it, but still clung to an even more fantastic plan to move shallow-draft heavy warships through the much more heavily-defended Baltic to conduct an amphibious landing on Germany’s Pomeranian coast. His capital ship designs became more fantastic and his personality more irascible as he aged. He frequently clashed with Churchill; not so much over differences but rather over whose radical scheme was more feasible. 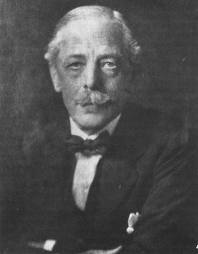 He finally resigned in May 1915 and eventually died of cancer aged 79 in July 1920. Fisher’s credibility with the service and politicians remained reasonably high even after his resignation. Winston Churchill said “Fisher was right at least nine tenths of the time”. The Royal Navy’s performance during the First World War was far from perfect. Its big gun battleships did not deliver the Trafalgar-like victory so many Britons expected. It could not force the Dardanelles alone without ground support. It did not take action against the German submarine offensive until it was almost too late. Despite these shortcomings later in the fight, the Royal Navy performed much as its leaders anticipated it would before 1914. The RN protected troop and supply movements across the English Channel. It swept both German merchant ships and commerce raiders from the seas. It continued to experiment with new technologies throughout the war and did its best to put them into operational use. It did not charge headlong into German torpedoes and generally showed concern for overly risking its ships and men unlike its Army counterpart that killed millions in meat-grinding trench warfare operations. These positive attributes were the fruits of Fisher’s labors in the gardens of naval strategy and technology. Alone among the armed forces of the European powers, the British Grand Fleet was reasonably well prepared for war in 1914. That fleet could indeed be characterized as British Admiral William Jameson called it in 1962 book as “the fleet that Jack (John Fisher) built. The U.S Navy should remember John Fisher as it seeks to fundamentally change itself to fight 21st century “hybrid wars” and data-centric conflicts. While Fisher had an inordinate amount of power and influence in his Navy that is difficult, if not impossible to replicate in the present, his example shows the power of one senior officer with a vision. That vision, if logically well articulated can be translated into significant action. Famous British General and early World War 1 War Minister Sir Herbert Kitchener consoled Winston Churchill on his dismissal from the Admiralty by saying, “the fleet was ready; they can’t take that away from you.” He might as well have been speaking to Fisher who created the fleet Britain took to war one hundred years ago last month.